Delicious hand pies in lots of flavors! Sweet and Savory crepes for you to enjoy! Gluten-free options are available! 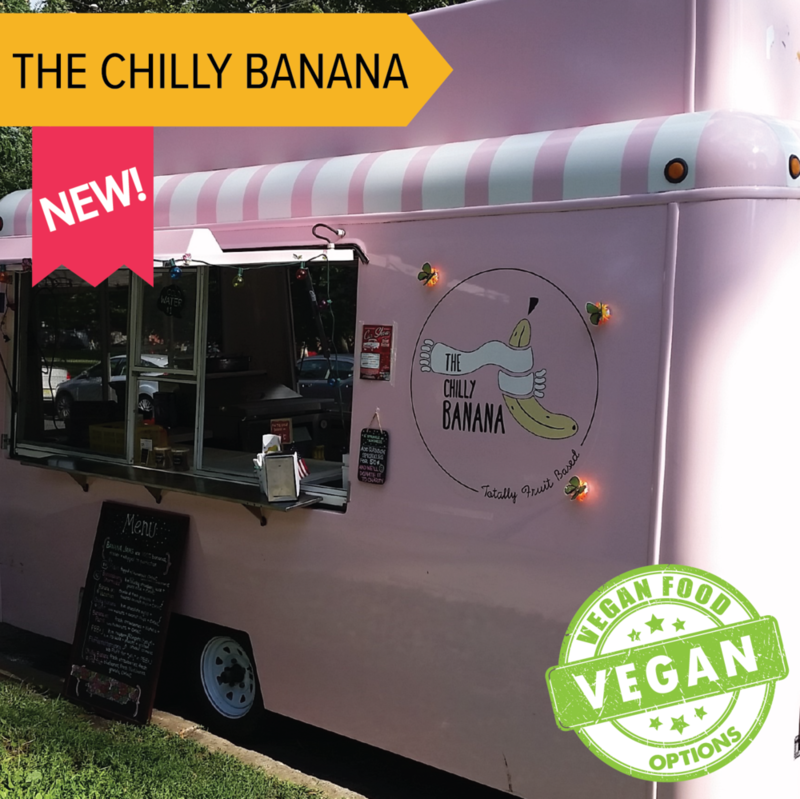 New to the Festival this year, this truck offers frozen banana whip and vegan topping options! Cheesy Goodness! The Cow and the Curd will return for another year with their deep-fried cheese curds! A winner of Food Network’s Cupcake Wars, Dia Doce is here to delight you with delectable cupcakes! Joining us for the first time this year is Dos Hermanos Tacos! Authentic tacos with gluten free options are available. Part of the Sweetbox Bakery, this truck offers edible cookie dough for you to nibble on while walking the festival! New twists on steamed and fried dumplings and egg rolls! Dump N Roll is back again! Caribbean and American soul food - our mouth’s are watering just thinking about it! Shaved Ice in a rainbow of flavors! A little sweet treat to refresh your palette! Gourmet burgers! Lancaster Burger Co. is back for another festival! Hot, roasted corn on the cob - options to add butter or additional seasonings! 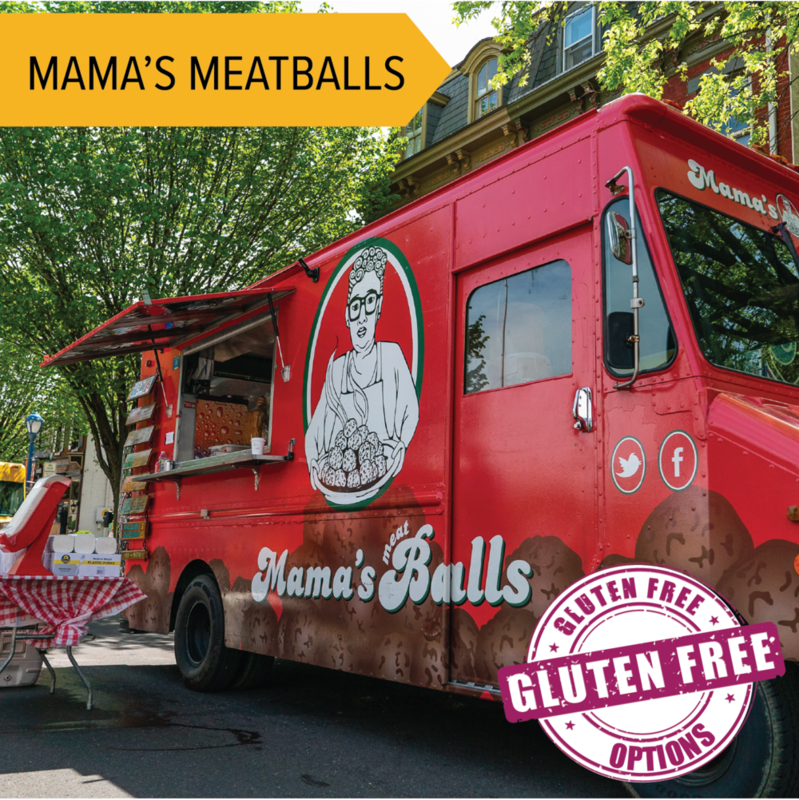 Classic arancini (stuffed rice balls) as well as fun flavors! Artisan grilled cheese sandwiches - gooey and cheesy in each bite! New this year to the Festival! Bringing you foods that will be sure to give you the munchies! Hot roast beef and pork sandwiches ready for you! Gluten free options available! A local favorite is coming back to the festival! 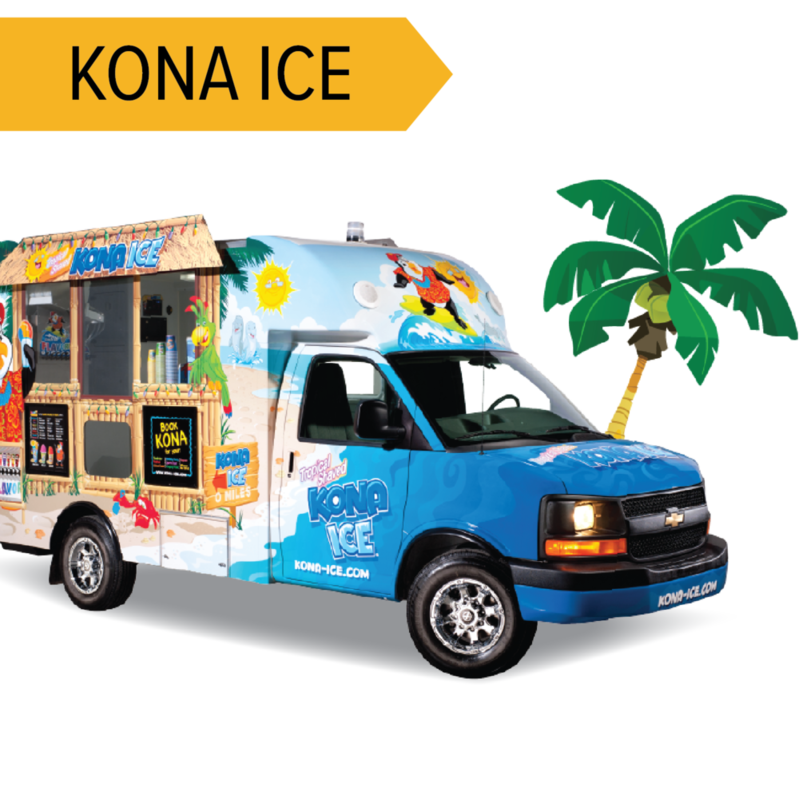 Enjoy Italian water ice and ice cream in all of your favorite flavors! Fries loaded with delicious toppings like meats and melted cheese! Featuring foods like filled phyllo dough triangles, and a lamb chop lollipop! Enjoy some Egyptian cuisine on the go! Offering items like hummus, rice bowls, and fresh pita wraps! Just as it sounds, they offer tater tots with savory toppings like beer cheese and gourmet sauces. New to the Festival this year - these guys are bringing you the biggest burritos you’ve ever seen! They are jammed packed with meats, cheeses, veggies and rice! A local favorite back again! Pulled pork, chicken, and brisket served fresh! These super popular pretzels are stuffed to the max with meats and cheeses! Delaware’s Orignal Superfruit Food Truck, specialize in Smoothie bowls smoothies, hand crafted lemonades and vegan bites. All organic, vegan and gluten-free! Serving up various types of Poutine! Sounds good, eh?